(Source: Aftenposten, April 24th 2009) Scots and Spaniards, look out! This summer Ryanair will launch two new non-stop flights from Haugesund Airport to Edinburgh and Alicante. From Haugesund you may explore the splendor of the Norwegian fjords to the north and Stavanger, Norway’s oil capital to the south. Ryanair has Torp airport, Sandefjord, as its main base for traffic to and from Norway. The airline is also currently operating flights from Haugesund Airport, on the Western coast, to two destinations, Bremen and London Stanstead. Through this expansion, the airline expect the number of passengers to increase from 90 000 in 2008 to 100 000 in 2009. 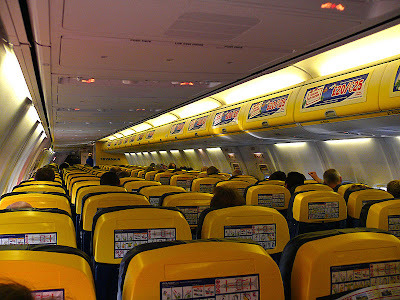 If the public responds well to the new flights, the airline may continue the flights into the winter months, according to Ryanair’s Sales and Marketing Director Ashley Casey. Ryanair say goodbye to Madrid, and au revoir to Provence! !